grepWin is a file utility tool to perform "search and replace" in documents. You choose the folder and then perform a regex or simple string (text) search. It has an option for case sensitive or not. 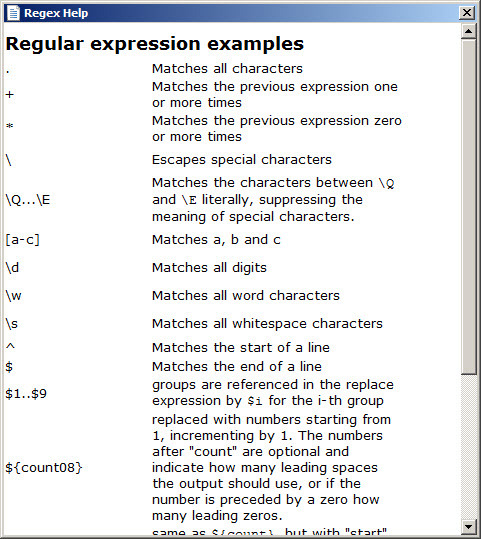 It allows to test the regular expression, to see if will work. You can limit the search by size (less than X kb), exclude by regex or patterns. It allows to include or not the subfolders and hidden files. If you press F1 it will display a Help windows with common regex expressions. Conclusion: A straightforward application that has its place in your toolkit because from time to time we need to perform mass searches and replaces in various documents. grepWin is available as free download for Windows 32-bit and 64-bit.